Juventus boss Massimiliano Allegri has attempted to calm the growing hype surrounding Moise Kean by dismissing comparisons with Cristiano Ronaldo and Lionel Messi. 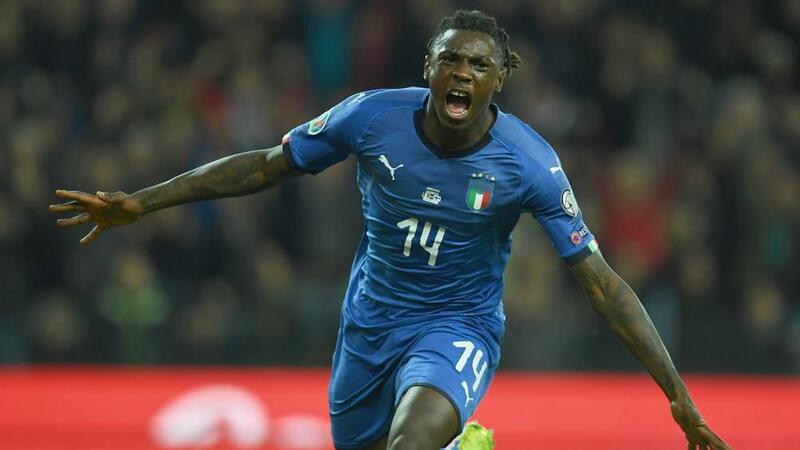 Kean, 19, scored two goals for Roberto Mancini's Italy in Euro 2020 qualifying wins over Finland and Liechtenstein over the international break. After becoming the youngest player to score for Italy since Bruno Nicole in 1958 as Italy defeated Finland 2-0 on March 23, the 19-year-old followed that up with a goal in the 6-0 rout of Liechtenstein on Tuesday. Allegri, however, refused to get carried away with Kean's form ahead of Saturday's visit of Empoli in Serie A. "I don't know who spoke about Moise Kean in a certain way," Allegri told reporters. "He scored a goal against Liechtenstein and, with all due respect to Liechtenstein, he is not Ronaldo or Messi. "I need to keep him grounded after this media hype, which is normal." Kean – who made his debut for Juve in 2016 – has scored twice for the Italian champions this season in six appearances across all competitions.